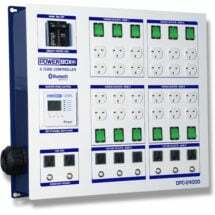 A versatile 240-volt lighting controller that provides FOUR 240-volt outlets and TWO 120-volt outlets. 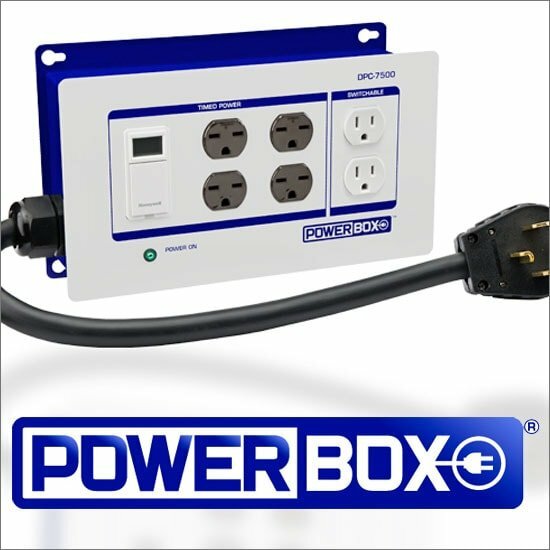 In many cases, you can plug the Powerbox DPC-7500-Combo right into an existing dryer-type outlet to be up and running fast. A unique feature of this model is that you can also set the last two outlets to be timed with the main group, or to provide constant power. 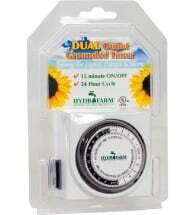 This controller has many possibilities: run a veg and bloom from one controller, or run 4 lights plus AC. When selecting a digital ballast don’t settle for a cheap knock-off brand. You want a proven ballast that will work with your bulbs to deliver the highest lumen output possible. 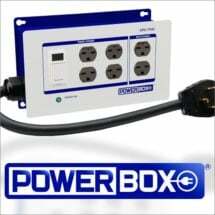 Connects to 240V main power and provides 240V power through six outlets. 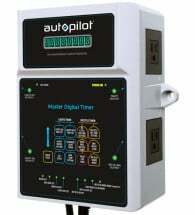 Use to automate your indoor equipment — controls two outlets simultaneously! Automate lighting and recycling operations with this precise digital clock. Everything you need to run up to 24 1,000W ballasts, plus 120-volt accessories — safely!